Dr Rebecca Nesbit MRSB offers some background to the free Biology Week event ‘Insect and bird migration: revealing the mysteries of flight’. It’s that time of year again – the swallows are collecting on the telegraph wires ready to escape the cold that’s coming our way. It’s a sad spectacle for anyone lamenting the end of summer, even though they will join us again after six months and an African adventure covering thousands of miles. What about our migratory butterflies though? The autumn disappearance of the painted lady butterfly is a much less dramatic sight. You simply see fewer of them, and then none. This is far more noticeable in ‘painted lady years’ – they are migrants to the UK and only appear in large numbers every few years. Their quiet departure meant that for many decades naturalists thought they were victims of the ‘pied piper syndrome’ – flying north to breed in the summer only for their offspring never to return. This view has changed with new technologies providing evidence for a southward return migration, and these will be presented at the event ‘Insect and bird migration: revealing the mysteries of flight’. We see red admirals migrate south, so why is a southwards migration so rarely seen in painted ladies? Another focus of the talks will be the silver Y, one of Britain’s more familiar moths (you can sometimes see large numbers during the day hovering around lavender bushes and other garden flowers to drink nectar). 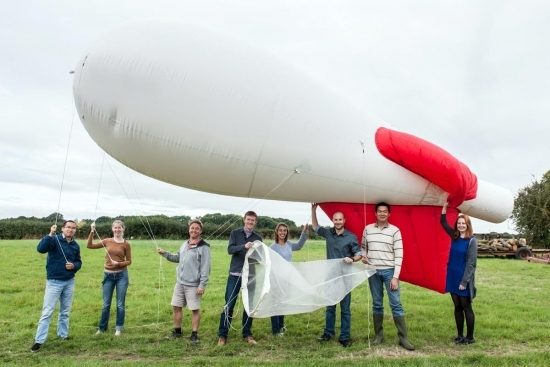 The work by Rothamsted’s radar entomologists has revealed that it is not a victim of the pied piper syndrome but a highly sophisticated migrant with great control over where it is travels too. Beyond the talks, there will also be an ‘insect migrant fun fair’. 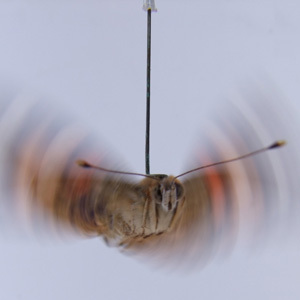 Part of the work which demonstrated that painted ladies migrate south was done in ‘flight simulators’ (above), and the team at Rothamsted have been rearing painted lady caterpillars for the past few months ready to give a live demonstration. Find out more about ‘Insect and bird migration: revealing the mysteries of flight’ and other Biology Week activities.